I'm sorry your mom hates you now, but it's pretty hard to forgive someone who forgets to say "Happy Mother's Day." Your poor ole ma could've spent anywhere from 10 to 20 hours popping you out, so the least you could do is set aside two minutes every year to say thanks. If you live to be 90 years old, that's only 3 hours over your entire lifetime! It's easy to forget important dates—I know. There's a lot more than just Mother's Day to remember. Father's Day, birthdays, anniversaries—even your mirror needs a little annual appreciation for all its hard work. Instead of forgetting all of those important dates, remember just once with Schemes - Scheduled Networking for your Samsung Galaxy S3 or other Android device. 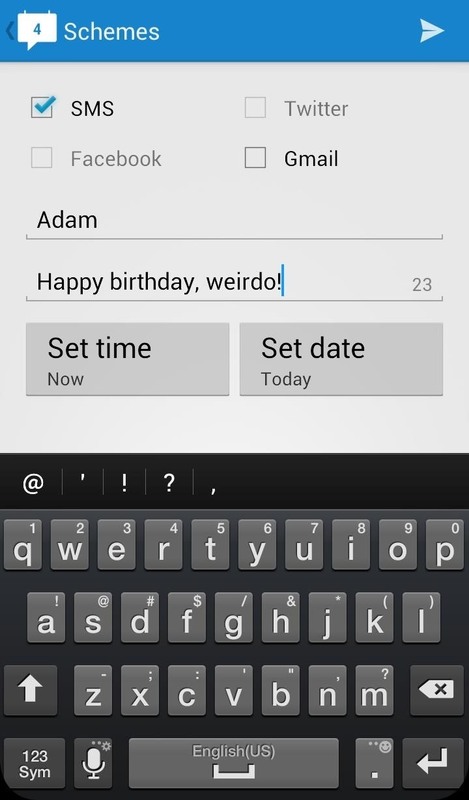 With the Schemes app built by Flozzo of Ox Apps, you can create scheduled messages that will post automatically at whatever time and date you've set. If you're one of those people that likes to be the first to say happy birthday when the clock strikes 00:01, this app is a godsend. It evens works for dating. Maybe your crush sent you a text, but you want to play it cool and respond a little later. Instead of forgetting and killing any chance you had, schedule an SMS response for an hour later (or however long you like to play the game). Plus, it's simple and clean UI makes it super easy to look like the most responsible and thoughtful person in the world. It's great for businesses looking to post at peak times or ordinary folks just looking to stick to a schedule. It works with Facebook, Twitter, SMS, and Gmail. 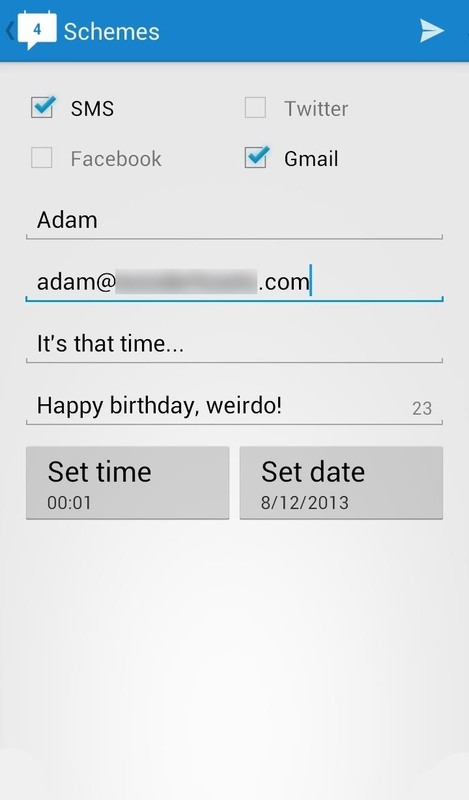 All you need to do is enter in your login information to each source and begin scheduling your messages. 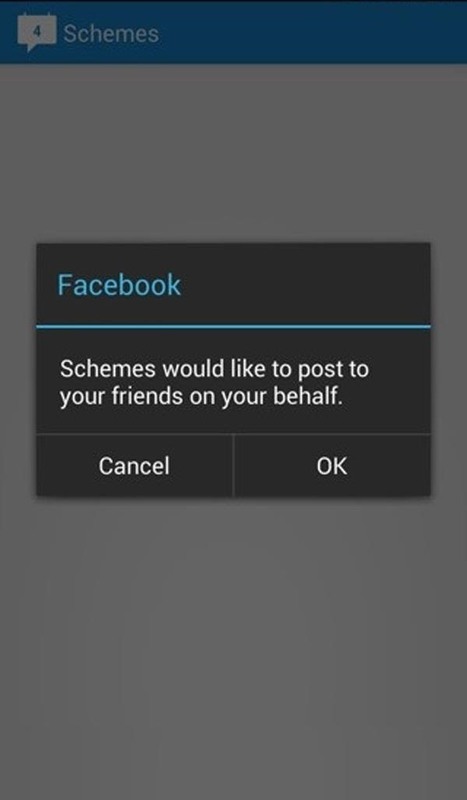 Schemes requires Android 3.1 or higher and is available in the Google Play Store. 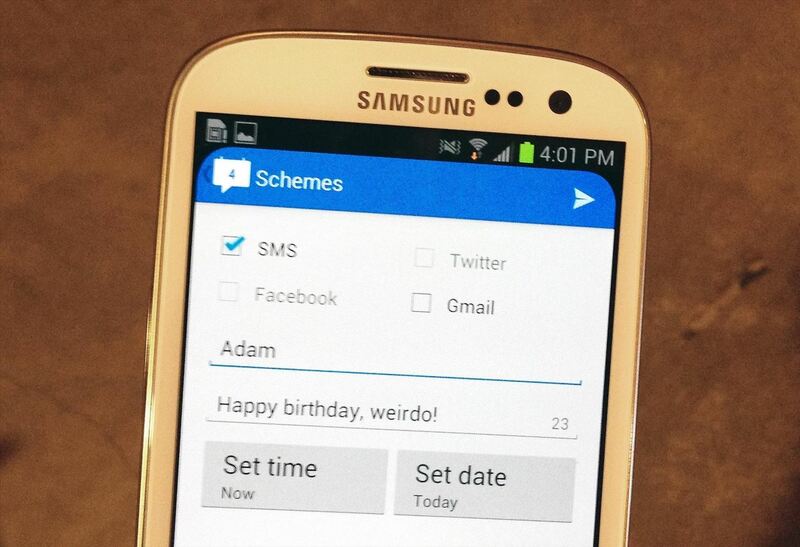 If you were wondering why an app like this would be called Schemes...Scheduled Messages. Brilliant, I know. News: Galaxy X to Unfold Before the Note 8? 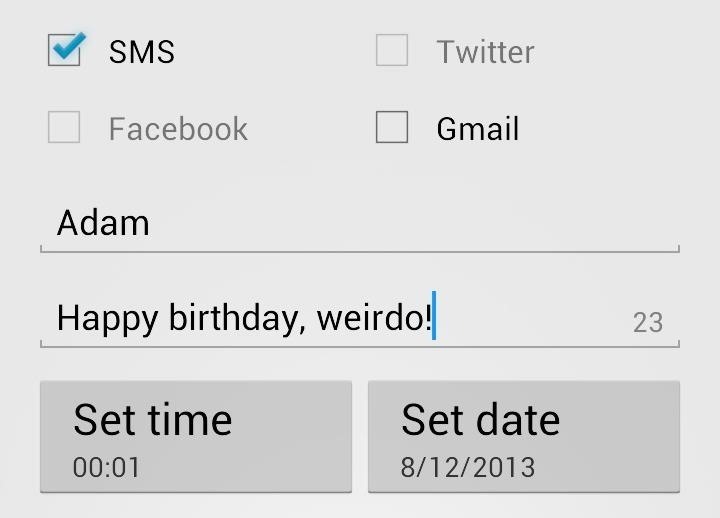 You can also schedule your messages through Future Scheduler. 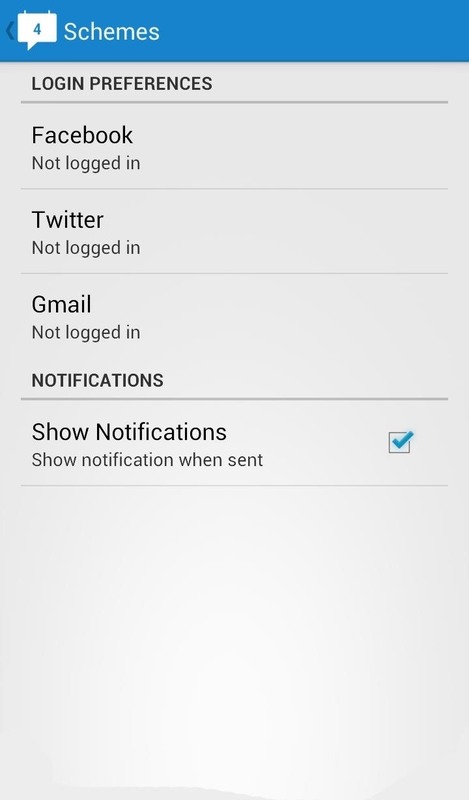 Along with some extra scheduling features like email, phone calls and social status update.